An Offshore Team to add Life to Your Ideas! In this constantly evolving environment of creative design, the hunt for high quality, original illustration is never-ending. In this realm of competitive business, Back Office Pro (BOP) offers to assist publishing houses and design studios with talented resources which often is a cumbersome as well as a costly affair. BOP being a leading back office support in the creative services sphere, companies can outsource illustration requirements to us and avail affordable, efficient, and completely original illustration services. We assign experienced resources and support our clients based on their specific or end-to-end creative design needs. At BOP, we firmly believe in the ability of illustrations to enhance the viewer’s experience of the magazine, book, brochure, or other marketing material. As such, we offer a full range of quality illustration services that focus on the message that needs to be communicated, irrespective of the project scope or complexity. Cover Design Our team takes care to carefully plan and develop effective and eye-catching cover designs that accurately reflect the content. Book illustration We offer exceptional quality illustration services for products such as comic book illustration, children’s book illustration, etc. Story Board Rendering Storyboarding tasks can be time-consuming and resource intensive. Our teams help production agencies to free up time and resources. Product Support Illustrations BOP’s designers assist in creating impactful and accurate user manuals, leaflets, instruction labels, catalog schematics, and technical specifications, etc. Digital Cartooning Using high-end design software, including Adobe Illustrator, our talented artists create digital versions of the client’s rough cartoon sketches. Print Illustration Our print illustrations are of the highest caliber and are properly adapted to the media they will be printed on. We can accommodate requests for various sizes and qualities. Technical Drawings With thorough and careful analysis of a product’s components, we develop drawings that effectively convey detailed information. Freehand Artistry We work with gifted artists from around the globe. They relish the opportunity to create freehand drawings and paintings of any subject matter chosen by the client. Photo Manipulation With expertise in photo modifications and manipulations, our illustrators convert any photograph into a more artistic image. Learning Illustration We can create illustration-based aides and tools for eLearning environments to provide an easy reference to support your text. CAD Image Colorization With the help of our image colorization services, you can make you CAD rendered drawings more vibrant and easier to read. Vector Image Conversion We can assist with the conversion of bitmap images such as JPEGs, GIFs, and PNGs into scalable vector images like EPS, SVG, and PDF. University level degrees in Graphic Design, Fine Arts, Visual Communications and other similar fields. At least five years of experience in photo editing, particularly retouching, compositing, clipping and masking, and color-correction. Illustrators who have demonstrated remarkable skills in their previous work, and who have a solid foundation in color theory, typography, layout, and visual design. Our illustrators have a vast amount of experience working with consumer-facing brands. Experienced in developing digital creative and interactive media, responsive web, trade shows, sales collateral, and printed media. Highly proficient in Adobe Creative Cloud Software, AutoDesk Maya3D, etc. 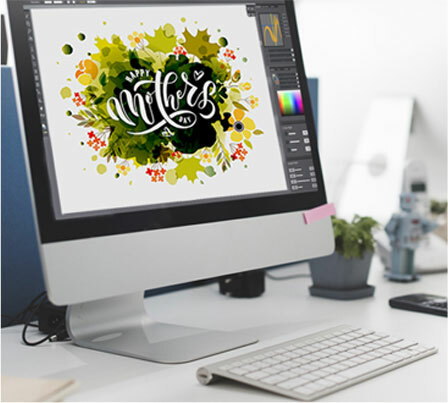 Our illustrators are experienced in layout and design for marketing materials as well as eye-catching web graphics, and an eye for composition and design. BOP’s team of expert illustrators cater to the needs of publishing houses, design studios, and firms in various industries including advertising, e-Learning, publishing, design, and education. Our methods and processes are ISO compliant. We adhere to industry standards and guidelines every step of the way, ensuring that our clients receive the best quality work we could offer. Our illustrators are highly motivated, experienced, and skilled in their craft, providing memorable illustrations that cater to a variety of client needs. With our highly competitive pricing structure, we can tailor to the specific needs of our clients, providing top quality services at reasonable rates. Our illustrators keep a finger on the pulse of current and growing trends, ensuring that our clients are constantly ahead of the curve. Back Office Pro’s illustration services are unparalleled regarding the quality of the deliverables and our pricing structure. Should you wish to discover how we can assist with your design needs, contact us by filling in our online contact form, and a business development manager will get back to you within one business day. I am thankful to Back Office Pro for extending kind support, putting sincere effort and working so diligently on our DTP project to complete within a quick turnaround time, which helped to increase my profits. Let our successful business relationship last for a long time.